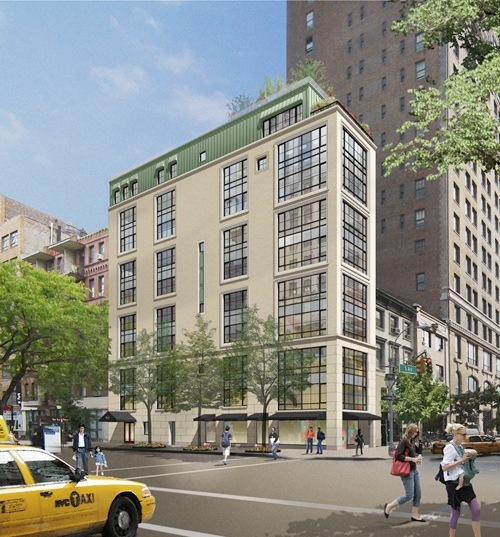 Previously known for being home of the Schrafft’s luncheonette, the corner of 5th Avenue and 13th street was ravaged by fire in 2006, then sold in 2008 to a developer who demolished the remaining structure, before undergoing the development of a new set of luxury apartments designed by architect Alta Indelman. Ever since the 2011 stop-work order, this development has been very quiet until this month of July 2013, when it finally announces that units are for sale. The 10-story building features street retail space, 3 duplexes and 1 triplex. 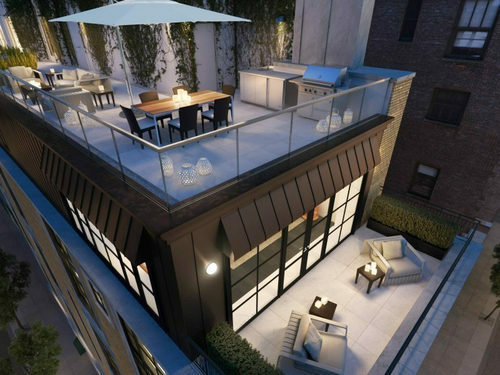 The duplexes are about 4,300sf asking for $12.975 to $13.975 million and the triplex is fetching 6,000sf and a 1,901sf terrace for an asking price of $28.5 million. 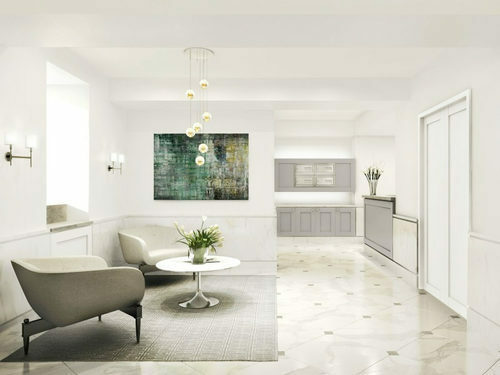 From the rendering, this luxury boutique condominium will have private key-locked elevators access and a 24-hours doorman service. 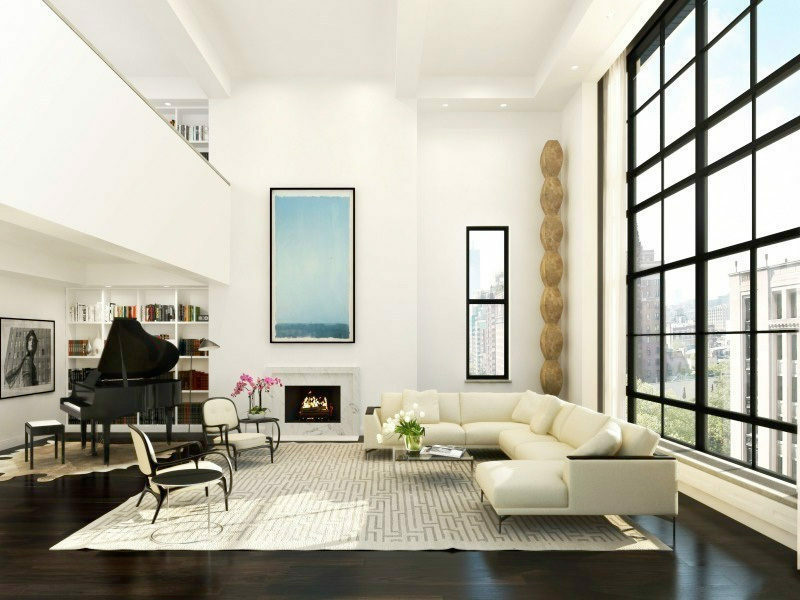 The triplex living room will sprawl 19’ ceilings with wide plank rift oak floors and other luxurious finishes. 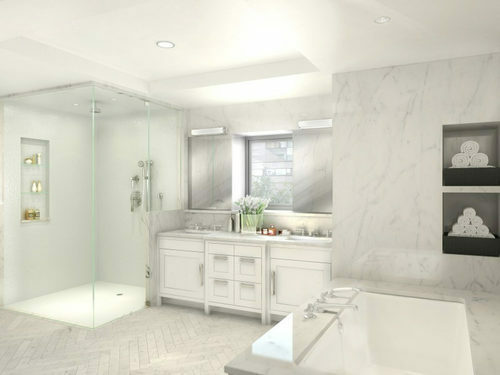 All residences will feature an impressive master bedroom, Italian marble baths, sun flooded lofty living rooms with fireplace. 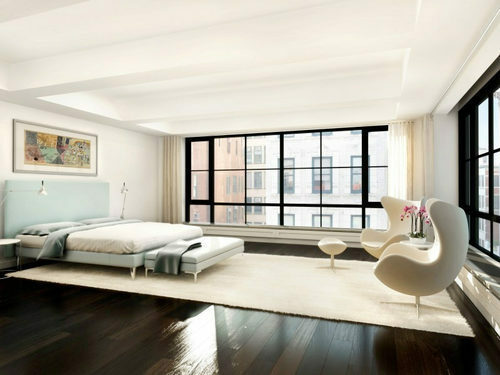 The residences “combine modern and chic aesthetic with a traditional New York living”.